Anancient mystery becomes an all-too-real modern threat for Dirk Pitt and hiscolleagues, in an extraordinary adventure novel in one of suspense fiction'smost beloved series. The murder of a team of U.N. scientists while investigating mysterious deathsin El Salvador. A deadly coll... read full description below. Anancient mystery becomes an all-too-real modern threat for Dirk Pitt and hiscolleagues, in an extraordinary adventure novel in one of suspense fiction'smost beloved series. The murder of a team of U.N. scientists while investigating mysterious deathsin El Salvador. A deadly collision in the waterways off Detroit. An attack fromtomb raiders on an archeological site along the Nile. Is there a link betweenthese violent events? The answer may lie with the tale of an Egyptian princessforced to flee the armies of her father three thousand years ago. 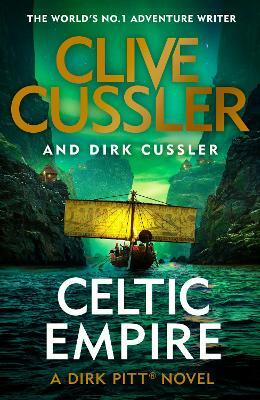 From the desert sands of Egypt to the rocky isles of Ireland to the deepwaterlochs of Scotland, only Dirk Pitt can unravel the secrets of an ancient enigmathat could change the very future of mankind. Clive Cussler is the author and co-author of a great number of international bestsellers, including the famous Dirk Pitt adventures, such as Odessa Sea; the NUMA Files adventures, most recently Nighthawk; the Oregon Files, such as Typhoon Fury; the Isaac Bell historical thrillers, which began with The Chase; and the recent Fargo Adventures which lastly included The Romanov Ransom. He lives in Arizona. Dirk Cussler, the son of Clive Cussler, has an MBA from Berkeley. He is the co-author of Crescent Dawn, Black Wind, Treasure of Khan, Arctic Drift, Poseidon's Arrow and Havana Storm.